That's a pretty substantial and impressive list of beers to be sampling in one afternoon. 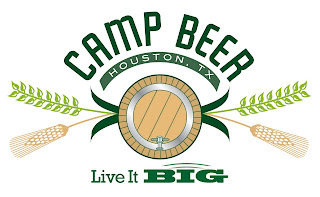 I highly recommend attending a Camp Beer if you haven't before. Its a great opportunity to try rare and hard to find beers that are typically not available in Texas. Also, the money raised from ticket sales go to the charities supported by Live It Big, so not only are you drinking great beer, but you're contributing to a worthy cause.